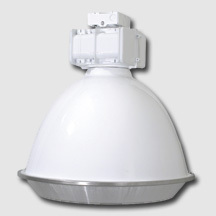 Available in 250W thru 400W standard metal halide, pulse-start metal halide, and high pressure sodium. Comes standard with a 4KV pulse rated mogul base socket. Each 60HZ CWA multi-tap2 or 480V ballast is pre-wired and installed for convenience.